THE 2015 Seoul Debates, held on 29-30 January 2015 in Seoul, Republic of Korea, with some 80 participants from Korea and countries around the world, provided a forum to identify innovative practices and consolidate lessons learned in tackling corruption. Government partners, UNDP practitioners, civil society experts, and researchers had lively and candid discussions on policies, strategies, and institutional arrangements to prevent corruption in the public sector using Korea’s experience as well as experiences from several countries around the world as reference. The meeting also gave Korean and international experts a networking opportunity to build partnerships for future collaboration. 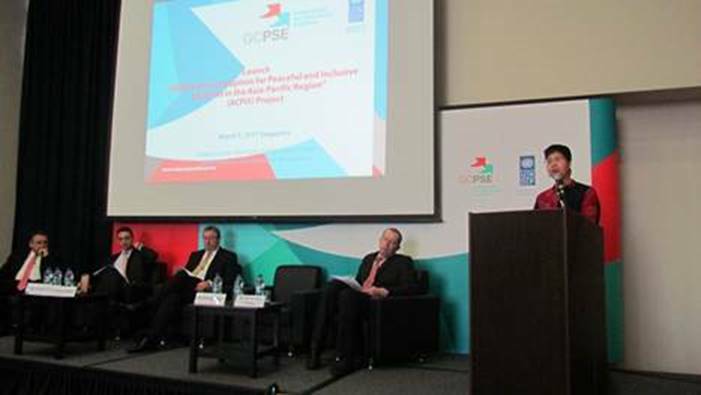 The 2015 Seoul Debates was organized as part of the UNDP Seoul Policy Centre’s (USPC) Development Solutions Partnership (DSP) on anti-corruption. DSPs are a new approach for USPC as a knowledge broker to connect Korean partners with the wider UNDP network and enhance the overall Korea-UNDP partnership on strategic development issues. The DSP on anti-corruption is designed to facilitate knowledge-sharing, and South-South/triangular cooperation for more effective development cooperation, utilizing Korea’s experiences and innovative tools. “From our own experiences, we understand the twists and turns as well as the practical realities in fighting corruption,” said H.E. Shin Dong-ik, Deputy Foreign Minister for Multilateral and Global Affairs of Korea in his congratulatory remarks. “As such, we possess unique know-how and seasoned insights to share with developing countries,” he added, mentioning that Korea wished to share the country’s lessons learnt over the past 50 years with other countries. Mr. Haoliang Xu, Assistant Secretary General of the UN and Director of the Regional Bureau for Asia and Pacific of UNDP, echoed this view: “I believe that putting in perspective Korea’s experience with other countries will be a great occasion to draw lessons on how anti-corruption can be promoted as part of a wider development agenda,” he said. The main corruption challenges that Korea faced during its rapid development, and the ways of overcoming them were put up for discussion by practitioners and academics as well as experts from a number of Korean institutions, such as the Korea Anti-Corruption and Civil Rights Commission (ACRC), the Supreme Prosecutors’ Office, the Board of Audit, the Seoul Metropolitan Government, the Korea Institute for Public Administration, and Transparency International Korea. Detailing Korea’s experience in fighting corruption, Kwak Jin-Young, Vice Chair of ACRC, highlighted the importance of prevention. 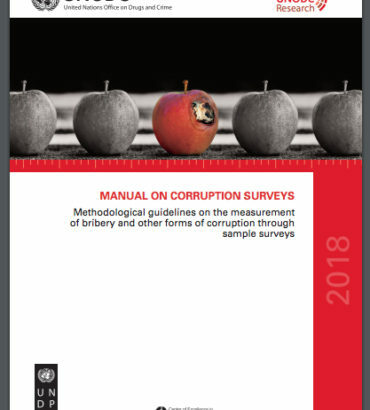 “In order to improve the effectiveness of anti-corruption policy, it is important to prevent corruption practices by determining environments and factors that cause corruption and addressing them in advance instead of detecting the cases afterwards.” She told how strong will from politicians and the public had prompted the introduction of a range of legal and policy measures such as integrity assessments to assess corruption levels in public services, laws to protect whistle blowers as well as bills to target nepotism and solicitation practices and fraud in public finances. International participants found Korea’s case particularly interesting because of its history of rapid economic and social development despite manifold governance challenges including corruption. Anti-corruption tools developed in Korea also attracted attention. Besides ACRC’s integrity assessment which is conducted by over 600 public organizations in Korea, and is also being applied in several countries including Bhutan, this was also the case of, in particular, the electronic subcontract payment system for transparent public infrastructure projects of the Seoul Metropolitan Government. Participants in the 2015 Seoul Debates also shared lessons and examples from other countries – Bhutan, China, Colombia, El Salvador, Indonesia, Singapore, Thailand, Uganda, Uzbekistan and Vietnam – as well as perspectives by various international organizations including the United Nations Office on Drugs and Crime (UNODC) and Organization for Economic Cooperation and Development (OECD), and international civil society organizations such as Transparency International and Global Integrity. Ang Seow Lian, Deputy Director of Singapore’s Corrupt Practices Investigation Bureau (CPIB) emphasized that corruption can compromise anyone, even in advanced economies like Singapore today, and shared how his country started its battle against corruption after gaining independence in 1965 as a necessary means to attract investment for national survival. “The political leaders thought that we could not survive if we still had corruption among us, so political will is one of the key factors that led to our success,” he noted. He also stressed the importance of strong anti-corruption systems with independent enforcement agencies, in order to maintain the political will through generations. 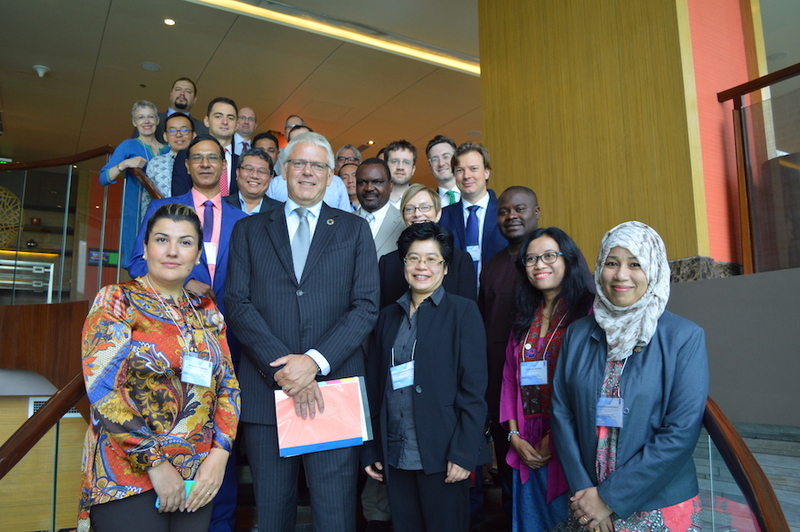 Participants also noted the increasing opportunities with various international mechanisms and networks for utilization by practitioners to strengthen country-level anti-corruption efforts. The importance of the United Nations Convention against Corruption (UNCAC) was stressed as a tool for opening up the space for dialogue at the national level to build country-level commitment and capacity to fight corruption, also helped by the review mechanism that was put in place in 2009. The need for striking an appropriate balance between prosecution and prevention was also highlighted. 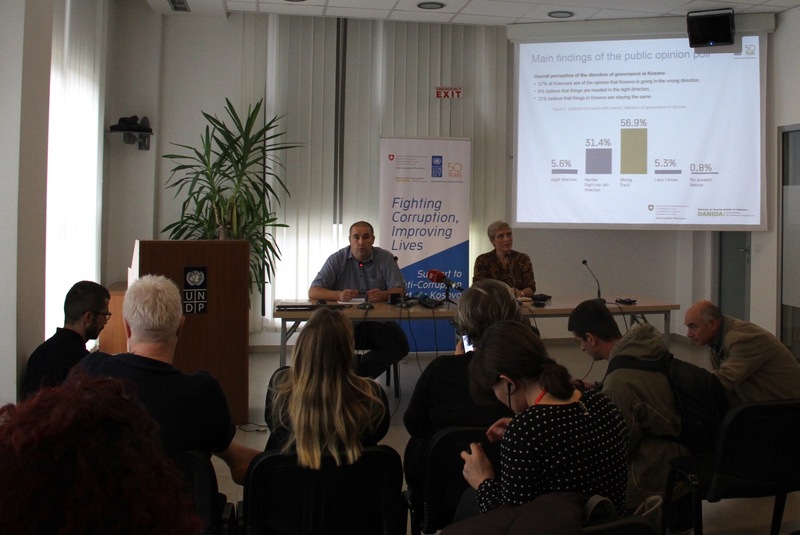 Practitioners noted that anti-corruption strategies are most effective when both prevention and prosecution are well incorporated and balanced in a country’s anti-corruption efforts. In addition, political independence in prosecution, institutionalised coordination among all relevant public institutions, as well as adequate and predictable budget allocation for anti-corruption agencies were stressed as key. Discussions also affirmed the importance of understanding the political economy of corruption, e.g. 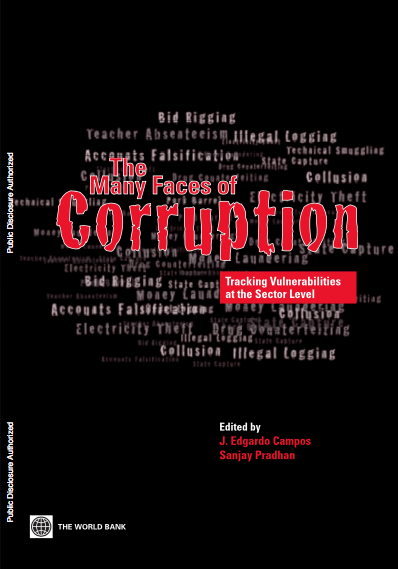 the multi-dimensional nature of corruption and its functionality in the broader governance environment. 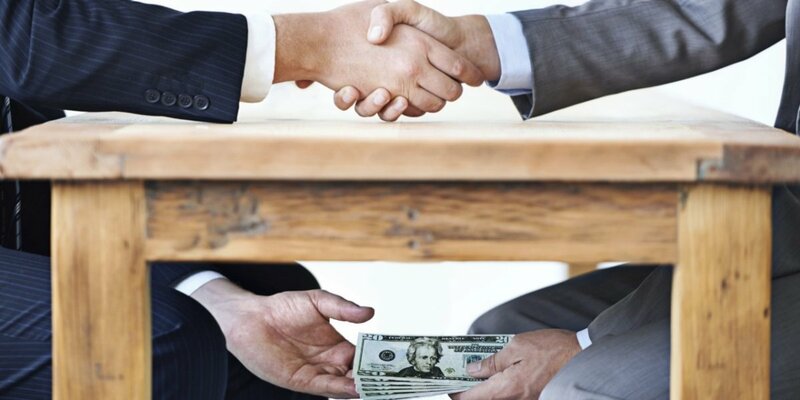 Understanding the actual function of corruption and patronage, in consideration of a country’s drivers of conflict of interest, makes it possible to formulate appropriate steps to replace that function with something productive, rather than replacing one form of corruption with another. It was also stressed that anti-corruption measures need to be mainstreamed, institutionalized and owned by all of society, rather than seen as the responsibility of an ‘anti-corruption’ institution only. The Chairperson of the Anti-Corruption Commission of Bhutan, Ms Neten Zangmo, stressed that other bodies must have anti-corruption as part of their agenda and specifically suggested that such mainstreaming be considered for development cooperation. She also pointed to the post-2015 development agenda and underscored that governance would be key for achieving the sustainable development goals. Working with non-traditional actors—such as the private sector and political partners—was also flagged as important for tackling corruption. UNDP‘s Governance Team Leader in Colombia, Ms. Blanca Cardona, informed the participants of UNDP’s work with political parties and presented a newly developed transparency assessment tool for political parties to strengthen their accountability. Developed by the Country Office and Transparency International Colombia, the tool has been tested with Columbia’s political parties, and the information gathered will be publicly available. Throughout the 2015 Seoul Debates, participants addressed the question of political will and the need to mobilize and strengthen the political will in the first place, rather than only flagging the importance of political will as a panacea for tackling corruption. Practitioners shared examples of successfully building the public sentiment by increasing citizen awareness—for instance through an investigative research and presentation of real data that showed the exact magnitude of corruption and compelled the government to take an action. From its conceptual design, the 2015 Seoul Debates deliberately sought to avoid the approach of finding ‘best practices,’ or ready-made solutions that can be transplanted in other contexts. The assumption was that, owing to different political, socio-economic and legal contexts,there is no universal model of successful anti-corruption policies. While honestly expressing their desire to take practical and immediate solutions home, meeting participants still noted that “what works” should be analyzed and understood via careful analysis of political, economic, and cultural contexts, given that the effectiveness of anti-corruption efforts depends on many factors unique to the local environment. Conclusion was that exemplary policies and tools need to be referenced and adapted as a “best fit” for specific contexts.At the same time, participants reaffirmed the usefulness of peer learning from good as well as bad practices, in order to identify what works, what doesn’t and why with a holistic perspective. UNDP country office representatives and national participants from developing countries expressed strong interest in follow-up cooperation and more focused knowledge exchange with Korea, particularly with regards to adapting Korea’s tools and localizing the lessons learnt to suit their own national contexts. The 2015 Seoul Debates thus demonstrated the usefulness as well as the rich potential of the DSP approach and pointed to strategic opportunities for triangular development cooperation, involving Korea, UNDP, and developing countries. The 2015 Seoul Debates meeting was organized by UNDP Seoul Policy Centre (USPC), in partnership with the Korean Ministry of Foreign Affairs (MOFA) and the Anti-Corruption & Civil Rights Commission of Korea (ACRC), with technical support from UNDP Global Anti-Corruption Initiative (GAIN), the UNDP Bangkok Regional Hub, and the UNDP Global Centre for Public Service Excellence in Singapore (GCPSE). Key findings, suggestions, and conclusions from the meeting are now being fed into USPC’s study publication and design of the DSP pilot phase. For questions on the 2015 Seoul Debates meeting or the Development Solutions Partnership on anti-corruption, please contact Ms. Ahjung Lee, Programme and Policy Officer of the UNDP Seoul Policy Centre, at Ahjung.lee@undp.org. The annual Seoul Debates are organized to facilitate policy research and dialogue on critical development issues. The 2013 edition of the Debates focused on the issues of challenges of the middle-income countries, and the final report is available at: http://www.undp.org/content/dam/uspc/docs/MIC-Seoul-Report-2013.pdf.